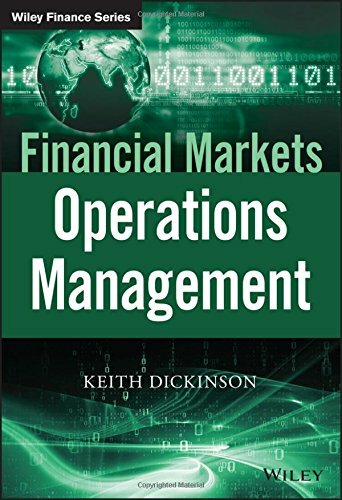 Financial Market Operations Management offers anyoneinvolved with administering, maintaining, and improving the ITsystems within financial institutions a comprehensive text thatcovers all the essential information for managing operations.Written by Keith Dickinson—an expert on the topic—thebook is comprehensive, practical, and covers the five essentialareas of operations and management including participation andinfrastructure, trade life cycle, asset servicing, technology, andthe regulatory environment. This comprehensive guide also coversthe limitations and boundaries of operational systems and focuseson their interaction with external parties including clients,counterparties, exchanges, and more. This essential resource reviews the key aspects of operationsmanagement in detail, including an examination of the entire tradelife cycle, new issue distribution of bonds and equities,securities financing, as well as corporate actions, accounting, andreconciliations. The author highlights specific operationalprocesses and challenges and includes vital formulae, spreadsheetapplications, and exhibits. This vital resource contains the information, processes, andillustrative examples needed for a clear understanding of financialmarket operations.